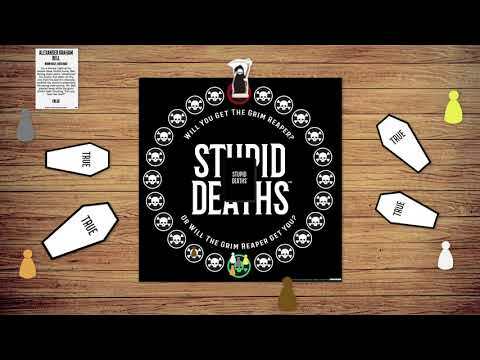 Here lies Stupid Deaths, a frightfully funny board game based on unfortunate historical deaths. This game celebrates some of the stupidest deaths over the centuries, the question is just how did these people really meet their end? Players advance around the board by working out whether the implausible and sometimes amusing demise is actually True or False. Vote correctly and move your piece one space closer to home and away from the chasing Grim Reaper! Race against Death to be the first player home or die laughing! How did these people meet their end? Easy to apply, quick drying set to create vampires, zombies & ghosts. Phone Jail - Lock up that Mobile! Lockable Jail for mobile phones - sentenced for disturbing the peace! Everything you need for the perfect hustle - fiendishly sneaky! Use a magnetic wand to coax the marbles into the turtle's shell. This is our full selection of everything we have in the Girls Categories to help you choose great presents for girls of any age. We have got science, art, creativity, construction, engineering sets, tiaras, ballet bags and some great books.